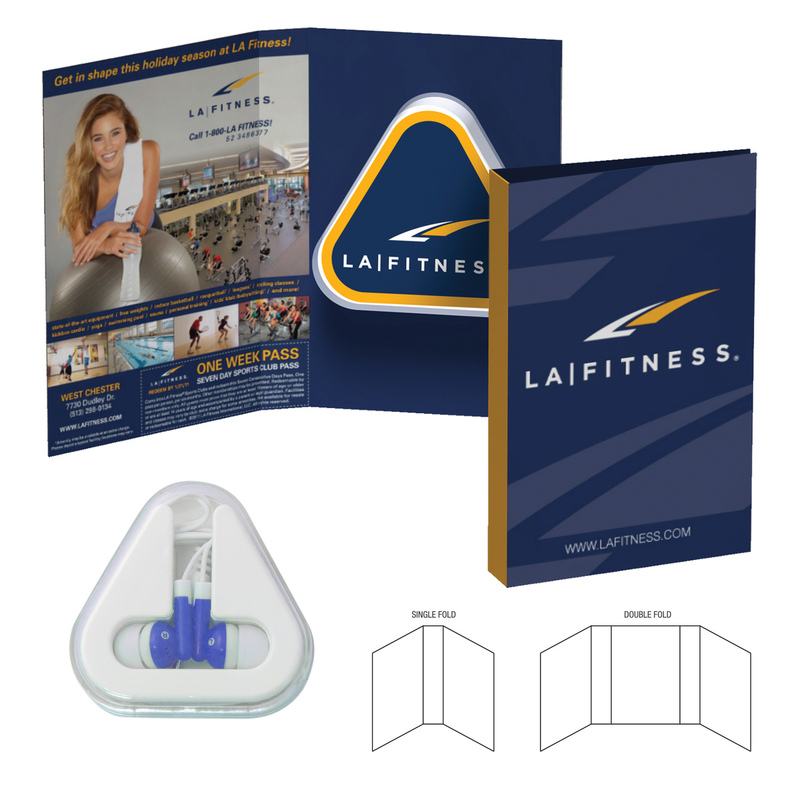 Fully customized booklet includes imprint on both sides of the card with direct print, full-color process or Digitek 4CP Ear Buds. This unique product allows you to further your promotional outreach by adding a coupon, QR code, website and so much more. Share your story with these Tek Booklets. Pick your option of a single or double fold. Default location for Item will be on middle panel for Double Fold Tek-Books. Default location for Item will be on right side panel for Single Fold Tek-Books. $50(v) for Booklet & $50(v) for item. Direct Print: Default: One color.